OSHA-Pros mission is to provide safety training to the highest industrial standards wherever and however it best suits its intended audience.. The company is heavily involved in OSHA 10 Hour Construction Training, OSHA 30 Hour Construction Training and the OSHA 10 and 30 Hour Courses for General Industry. They have awarded DOL wallet cards to tens of thousands of workers. The company has provided risk management services, consulting and safety education for over 40 years. All professionals from OSHA-Pros are specialists in the safety related fields and have been OSHA-Certified to teach those core courses as defined and approved by OSHA. All courses provided are OSHA-Accepted in all 50 states. The courses also satisfy specific criteria in states such California (Cal-OSHA), New York, New Hampshire, Rhode Island, Massachusetts, Nevada and other states that have legislated additional, mandatory safety training. All courses and training may be provided online through computer-based video training, or through on-site, hands-on training with groups of employees (at substantial discounts). Additionally, the company offers a complete array of OSHA Hazwoper Training both online and on-site. The 24 Hour Hazwoper Course and the 40 Hour Hazwoper Course are the essential starting points for Hazwoper Training. In addition we offer the Hazwoper Annual Refresher and the Hazwoper First Responder courses also. Other services the company provides include mock OSHA inspections, air & noise surveys, industrial hygiene and OSHA Reporting Audits. 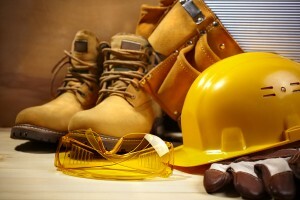 These offerings help businesses with compliance to OSHA standards. Additionally, OSHA Pros offers litigation and expert witness support nationwide. Our goal is to provide comprehensive OSHA Training and quality supporting services to assist businesses in providing a safe work environment for their employees, and to meet standards set by the Occupational Health and Safety Administration. Our team of professionals will help both employers and employees comply with OSHA requirements and maintain the safest work environment possible through effective training and support services both online and onsite.